The life of thief and con artist Letty Raines isn’t going to get less complicated any time soon. TNT has announced that their Good Behavior TV show will return for its second season on Sunday, October 15th, at 9pm. Award-winning actress Michelle Dockery will be back on the bad side when she returns as thief and con artist Letty Raines, whose life is always one wrong turn or one bad decision away from implosion in the hit TNT drama Good Behavior. Juan Diego Botto, Terry Kinney, Lusia Strus and Joey Kern also star in the seductive drama, which was created by Chad Hodge and Blake Crouch and is based on a series of books by Crouch. The second season of Good Behavior is slated to premiere across TNT’s television, mobile and digital platforms on Sunday, Oct. 15, at 9 p.m. (ET/PT). In Good Behavior, Letty Raines (Dockery) always gets what she wants. She even got back the one thing that had eluded her for so long – her son, Jacob (Nyles Steele). Unfortunately the deal she struck with the FBI to regain custody of her son nearly cost her the love of an assassin named Javier (Botto), the one man who ever truly understood her. As the second season of Good Behavior opens, Letty has patched things up with Javier and reconciled with her mother, Estelle (Strus), who had long stood in the way of Letty getting custody of Jacob. On the run from FBI Agent Rhonda Lashever (guest star Ann Dowd), Letty, Javier and Jacob are heading for a new life trying to be normal. The more Letty and Javier try to create a normal life, the more things go awry. Their attempt to build a better future for Jacob soon proves futile when something more dangerous than the FBI catches up with them: the past. The sweet taste of normality slowly fades as Letty goes from bad at being good… to good at being bad. 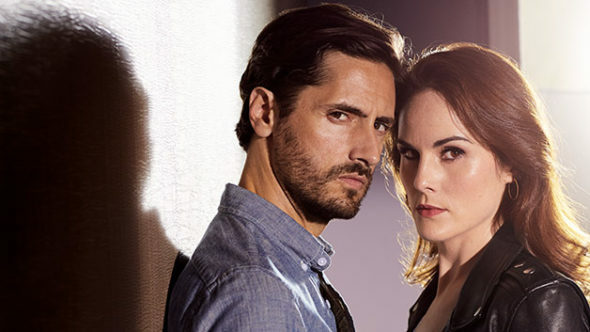 TNT’s Good Behavior is executive-produced by writer/showrunner Chad Hodge and author Blake Crouch, along with executive producers Marty Adelstein and Becky Clements of Tomorrow Studios, a partnership between ITV Studios and Marty Adelstein. In its first season, Good Behavior drew a multiplatform audience of 4.1 million viewers per episode and ranked as one of ad-supported cable’s Top 5 new dramas of Q4 2016. It has also drawn more viewers through VOD than any other TNT drama. TNT is basic cable’s #1 network in primetime with young adults and is home to one of cable’s most popular slates of original series, including Claws, Animal Kingdom, Good Behavior, Will, The Last Ship, Major Crimes, The Librarians, the upcoming The Alienist and more. TNT’s premium non-fiction series include the upcoming Michael Moore Live from the Apocalypse and Who Run the World?, from Refinery29 and executive producers Sarah Jessica Parker & Morgan Spurlock. TNT also presents popular shows like Arrow, Supernatural, Bones and Castle; primetime specials, such as the Screen Actors Guild Awards® and the iHeartRadio Music Awards; and championship sports coverage, including the NBA and the NCAA Division I Men’s Basketball Championship. Turner, a Time Warner company, is a global entertainment, sports and news company that creates premium content and delivers exceptional experiences to fans whenever and wherever they consume content. These efforts are fueled by data-driven insights and industry-leading technology. Turner owns and operates some of the most valuable brands in the world, including Adult Swim, Bleacher Report, Boomerang, Cartoon Network, CNN, ELEAGUE, FilmStruck, Great Big Story, HLN, iStreamPlanet, Super Deluxe, TBS, Turner Classic Movies (TCM), TNT, truTV and Turner Sports. More about: Good Behavior, Good Behavior: canceled or renewed?, Good Behavior: ratings, TNT TV shows: canceled or renewed? Good Behavior: Cancelled or Renewed for Season Three on TNT?